The I-1 is the only new camera on the market for the original Polaroid format and is the most advanced instant camera available today. 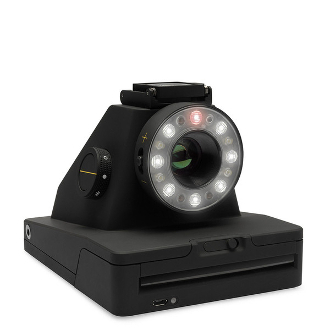 Its unique ringflash and autofocus system make it the best instant camera for portraits. The I-1 iOS app allows users to connect to the camera with their smartphones, and experiment with creative tools like double exposures, timer, noise trigger, light painting, and full photographic control over shutter speed and aperture. Currently in stock ready to ship or pick up from The Texas Theatre in Dallas!